Blizzcon 2015 will host the Heroes of the Storm World Championship later this year, but first we have to find out which teams will even make it. September 19th and 20th will reveal which teams from The Americas will make it to the free to play MOBA’s championship as the Heroes of the Storm Americas tournament kicks off in Las Vegas, Nevada. 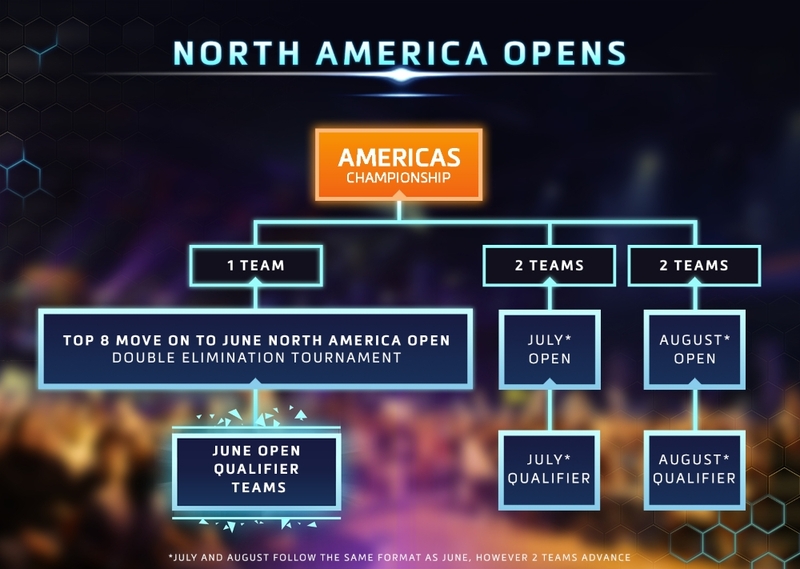 The Americas Championship is split into two stages. During the first stage, eight qualifying teams will be split into two groups of four to play in the double-elimination group stage. The top two performing teams from each group will then advance to stage two, where they’ll compete in the single-elimination semifinal bracket, and a victor will be crowned. If you’re in the Las Vegas area, admission is free to spectate but since tickets are first come first served, plan to arrive early. Otherwise stay tuned to the BlizzHeroes Twitch page to watch the event unfold live. Click here to check out the full tournament breakdown. Why is this article even here ? cause its best moba ever made!!!!!!!!!!!!!!!!!!!!!! I assume because it’s a free to play game… and it’s news of a free to play game… On a site which is about free to play game and their news.